Greetings! 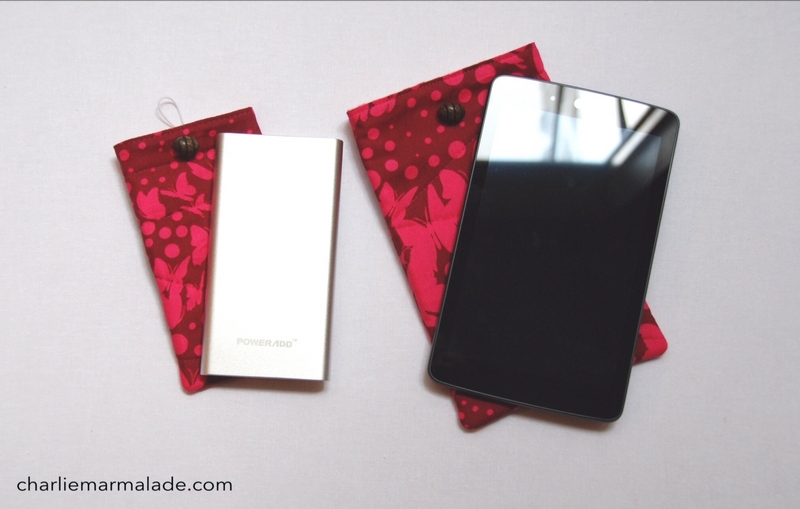 Today I wanted to share with you a quick tutorial on a protective sleeve I made for my tablet and battery back up. These two live in my metal cash box and I was concerned about them getting dinged up or scratched. 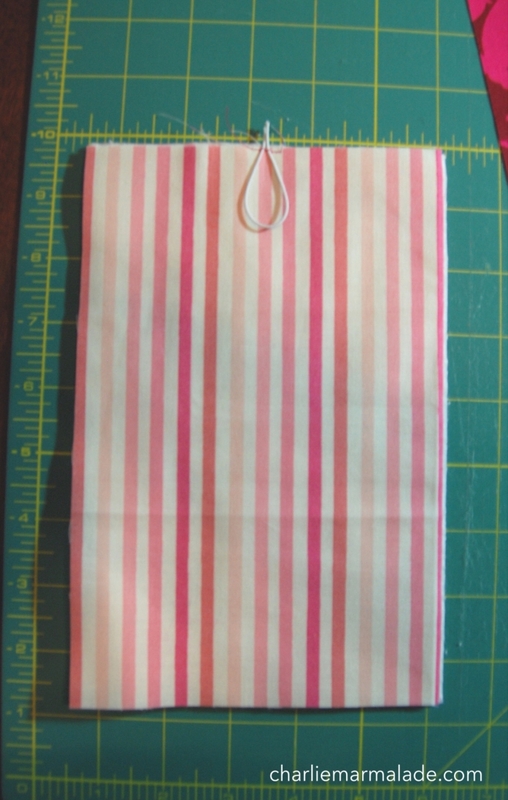 I also wanted something cute that would be very easy to get the tablet in and out of while at market. The tablet is how I take credit cards (with a card reader attachment) and keep up with sales, so quick access is a must. I will be using my tablet as an example, but this can easily be translated in to any size. 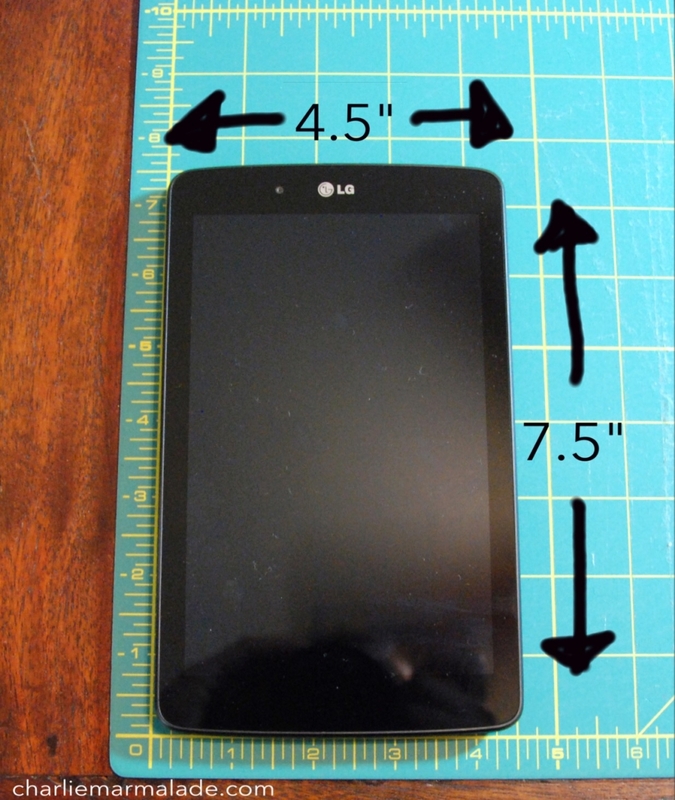 Step 1: Measure your device. Step 2: Cut exterior, lining and batting pieces. 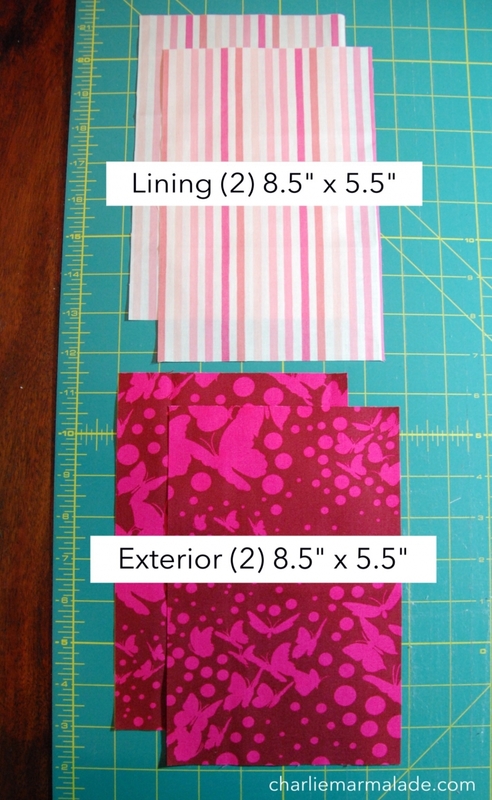 You will need two (2) of each and they should be cut 1" larger than the measurement you took in Step 1. Batting isn't very pretty, so I didn't take a picture of it. Make sure you cut two anyway. Step 3: *OPTIONAL* Layer one lining piece, wrong sides together, with a piece of batting. 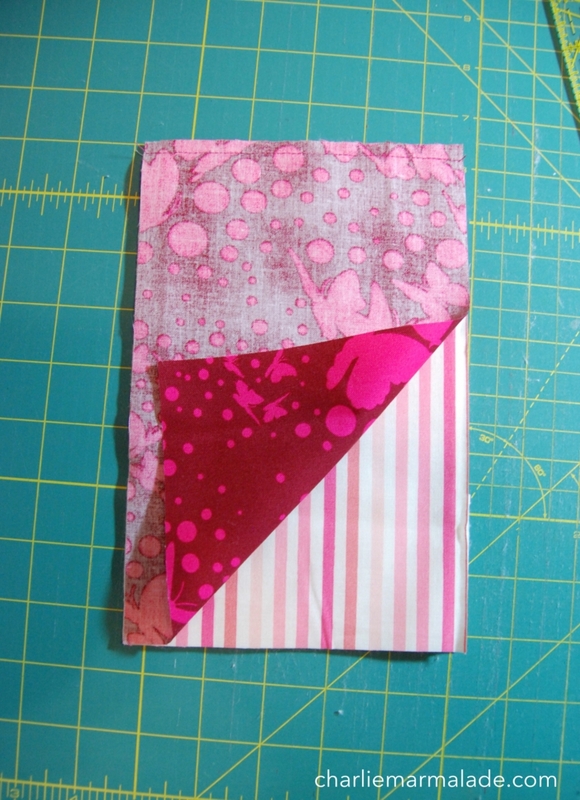 Find the center by folding the layered piece in half, length wise. Place an elastic loop, as shown below, in the center and stitch, 1/8" from the edge, over the elastic. I like to stitch back and forth two or three times, to make sure the elastic is secure. You should also leave a bit of elastic hanging over the edge of the piece. Step 4: Layer an exterior piece, right side down, on top of the lining and batting that you prepared in Step 3. Stitch, with a 1/4" seam, along the top edge. Repeat with the other set of pieces. Again, layer batting, lining right side up, exterior right side down. Step 5: Flip exterior piece over so that it is wrong sides together with the batting. You should have two pieces that look like this. Top stitch the top edge and quilt as desired. Step 6: Place quilted panels, right sides together, and stitch a 1/4" seam around the sides and bottom, back stitching at the beginning and end. Snip threads and corners and turn right side out. 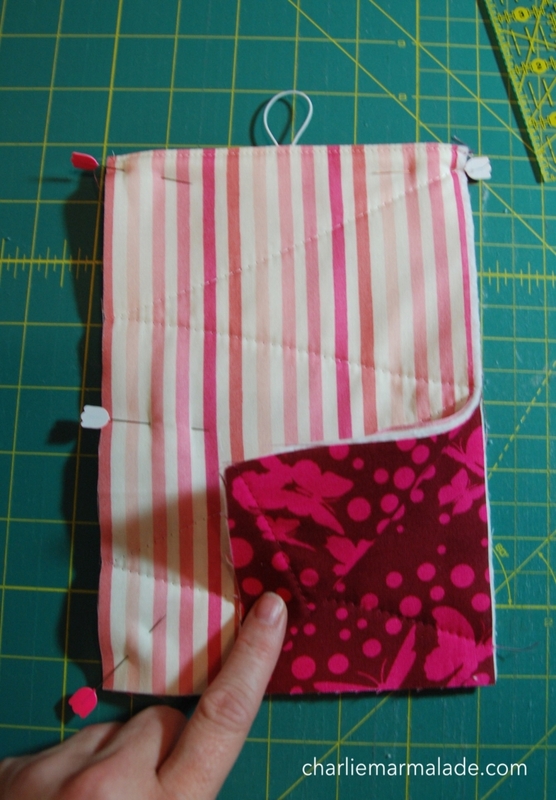 Step 7: Sew a button onto the front of the sleeve, slide your device in, and enjoy! My sleeve is unfinished, but you could zig zag, over lock or serger stitch the edges before turning to prevent fraying and have a cleaner look. You could also bind the raw edges to cover them completely, but keep in mind this may snug up the sleeve more than you would like, so be sure to check the fit before sewing on the binding. In the end, I removed the elastic and button because it was a bit too fussy for my purposes. I think the next sleeve I make, I'll sew a Velcro flap for a flatter profile. I'll update this tute if and when I do make any changes. 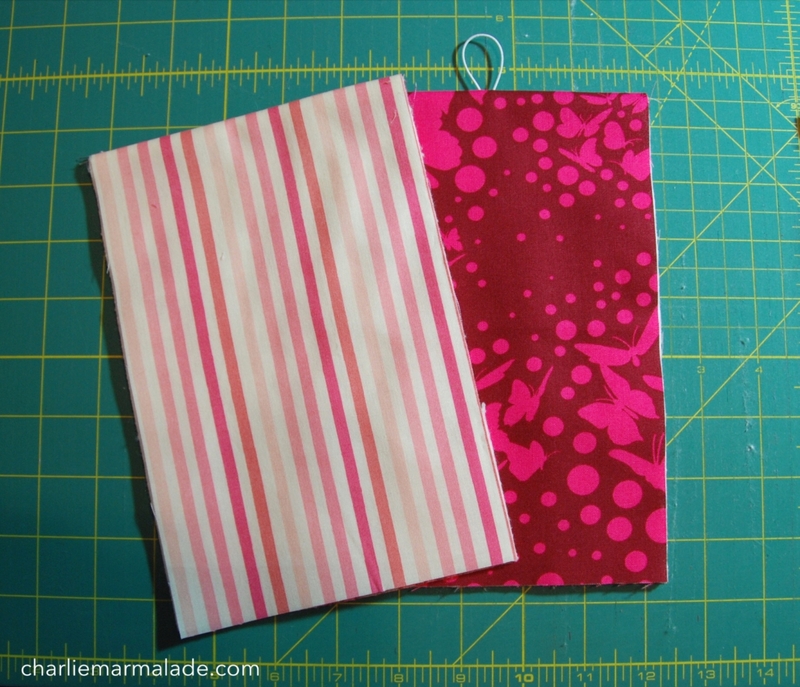 I hope you found this quick sew sleeve tutorial useful. If you make one, I'd love to see it. 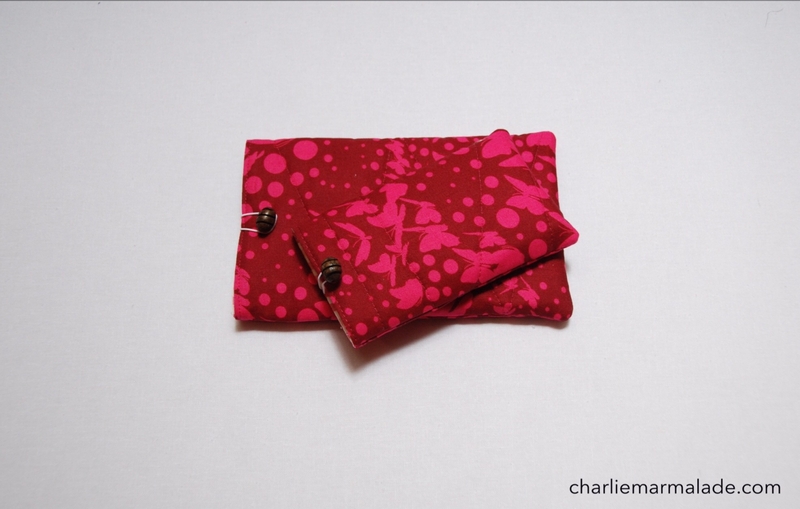 You can tag me on Instagram (@charliemarmalade) and use the hashtag #quicksewsleeve. Fantastic and useful article! Adding to the communication, presenting more statistics, or expressing a new factor of view I suppose is the means of commenting. Taking without any consideration that weblog Your blog is very useful and provides tremendous facts. These two timings and political back stabbing is the cause of those many unrests and wars in the past. I think that we should all just leave the lab report help as it is and must not invade other country’s privacy, except when it threatens human rights or world peace. Sewing is tough sometimes, but all my hesitation was gone after visiting https://sewingiscool.com/ because it provides lessons for beginners, and that’s what makes it easier to learn sewing.